With years of experience we understand that you want top quality customised rugby, cricket, football kits and more. Whatever the sport we can supply superior custom kits including the latest Nike football kits too.We specialise in embroidery and print work so you can rest easy that your personilised garments will be finished to the highest standards. We do all our own embroidery, vinyl printing and DTG printing in house. 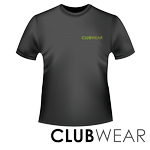 This not only saves time but we know that youll be happy with the end resault of your team wear or club jerseys. You get great quality brands together with exceptional value for money when you choose Custom Kit. Thousands of UK sports clubs come to us for their training wear, rounders, rugby, netball and football kits, and we have teams from kick around up to professional level who turn to us for the best custom kits and training wear. If you have your own artwork we can take almost any format and turn it into an embroidered logo, printed image or sponsorship – working with you to make sure your sponsors are 100% happy with the logo look and design. We also have the very latest DTG - Direct to Garment Printer - which allows us to print directly onto garments. This is ideal for events, stag do's, hen do's or promotional days. 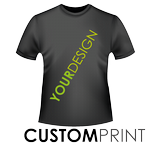 It needs we are not restricted on design, we can literally print what ever you like.